Gonzo’s Quest is an innovative video slot to come from the creative offices of NetEnt. Since March 2010, Gonzo’s Quest slot has remained a popular choice among online casino players. Accessible across desktop, mobile and tablet, the Gonzo’s Quest online slot welcomes bets from low stakes players and high rollers with cash to burn. 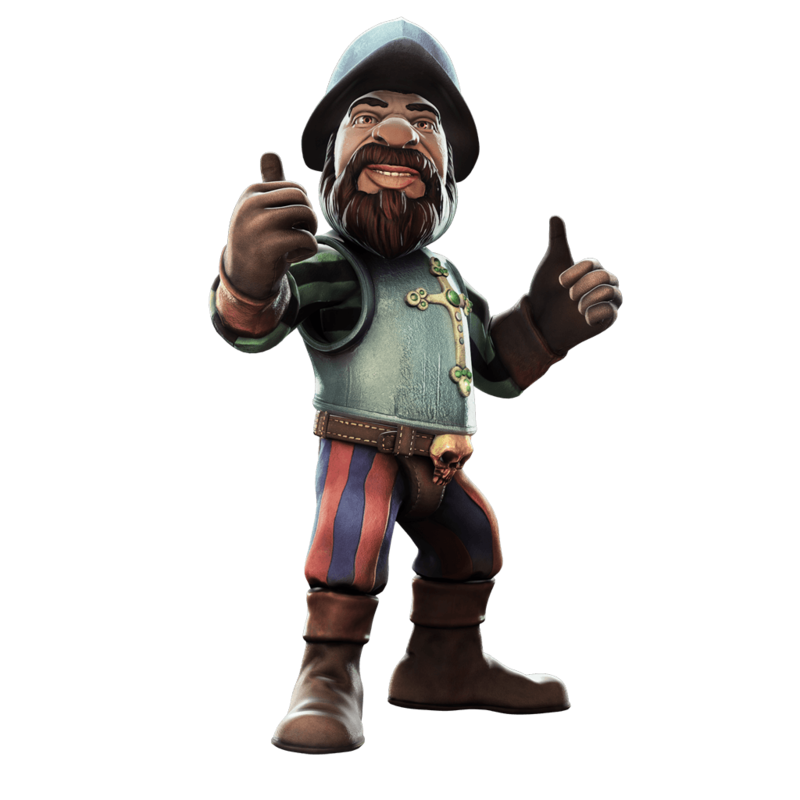 The theme of the Gonzo’s Quest slot game comes from a real-life Spanish conquistador named Gonzalo Pizarro; the paternal half-brother of Francisco Pizarro – the conqueror of the Inca Empire. The theme will take players back in time, back to the 1500s, but the bonus features are anything but ancient. The fate of Gonzo’s quest was met in 1558 when he turned against the Spanish King as was beheaded – thankfully, you won’t meet this fate! Why is the Gonzo’s Quest slot so special? You should ask the people of the UK this question because they’ve made this NetEnt slot the most popular game in the country. And the whole population of the UK can’t be mad, can they? But do enjoy Gonzo’s Quest because wherever you are playing it, this game is really top quality in lots of ways. The first thing to note about Gonzo’s Quest slot game is that it has a really involving and entertaining storyline. The story is of one of the little-known Conquistadors (whose history is very ugly if you read into it), called Gonzo. It’s based on real history and it’s something you might want to explore, giving this game a bit more depth than other slots. NetEnt is worth their fantastic reputation. They really put everything into Gonzo’s Quest – despite starting the gambling at just 0.02 coins – and invested heavily in the graphics and gameplay. From the unique “rock fall” of the “spins” to the animated little Gonzo this game looks wonderful and plays beautifully. The Avalanche Reels feature means a respin of sorts on every win. What’s not to like? The free spins round – Free Falls here – is the most popular sort of game bonus, and you can pick up 10 spins for free on Gonzo’s Quest that all come with big win multipliers up to 15x. That could mean big wins, and a 62,500 coin top prize on a theoretical return to player of 96% is certainly one of the reasons why this game vies with Starburst (another NetEnt slot) to top the charts among UK players. Gonzo’s Quest video slot really delivers to players, with gameplay, graphics and gold that are at the top of the charts and keep this game up there too. Gonzo’s Quest bets will start at 0.20 and can be increased to a maximum of 50.00 per spin. The non-progressive jackpot featured is a coin win of 2,500 – which is decent enough in itself, but combine this with the possibility of a 15x multiplier and you’re looking at a huge payout. Boasting avalanche reels, wild symbols, free spins and multipliers – this online slot is fun-filled and offers on the edge of your seat entertainment – but how do you benefit from the features? Read our review to find out the ins and outs of the slot, to maximise your chances of winning. The Gonzo’s Quest free play demo is identical to the real play version, but the only difference is – you don’t get to keep what you win. Why choose to play free Gonzo? The answer is simple; you get to test the online slot and all of its features, without it costing you anything! Maybe you’re a low stakes player who doesn’t have the funds to bet big – by playing the free Gonzo’s Quest demo, you can experiment with the best and witness how high rollers play. The 5×3 reel formation of Gonzo’s Quest slot machine is placed within an ancient city; one white stone features and buildings stretched into the wilderness. You’ll find Gonzo in all his finery, stood to the left of the reels, with ancient symbols carved into stone surrounding the slot machine. Green leaves and a water feature add to the ‘Inca’ theme, but you won’t be able to take your eyes off the symbols on the reels for too long. A multiplier meter sits to the top right of the machine and the control panel sits to the lower of the screen. Use the bet level and coin value adjusters to get to a bet that suits your budget. High rollers need not toggle through these adjuster panels, instead, they can click the max bet button to bet maximum stakes per spin. Autoplay allows you to sit back and watch the action unfold; you just need to decide how many spins – 10 or as many as 1,000! Smiling face stone; 2,500 coins for a win line full of matching symbols. Green ogre stone; 1,000 coins for a five of a kind combination. 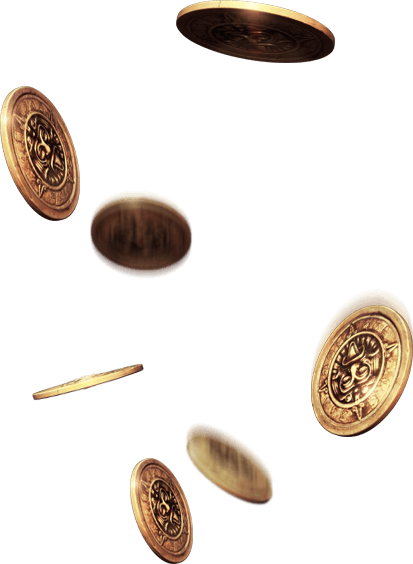 The toothy stone; awarding 500 coins for a complete win line of matching symbols. Purple stone; with a top value of 200 coins. Orange snake stone; 100 coins max payout. Red snake stone; 75 coins for a 5 of a kind combination. Bird stone; 50 coins for a complete win line. To get your hands on the biggest cash, you will need to spin in a complete win line of smiling face stones – easier said than done. One of the biggest attractions of Gonzo’s Quest slot game is the avalanche reels; this is a simple but rewarding feature that can see consecutive wins fall in a single spin. Instead of reels typically spinning; the reels to this slot machine drop into place. When a winning combination is found, those symbols that made up that win will disappear, with new ones dropping into place. Should you find another winning combination, the process will continue. Reels will continue to fall, awarding wins, until there are no more winning combinations found. One win will award a 1x multiplier, the 2nd avalanche will award a 2x multiplier, the 3rd will award a 3x multiplier whilst 4 or more will award the highest base game multiplier of 4x. 4 or more avalanches; 15x multiplier. Press the ‘start free falls’ button and your free games will play out automatically. A year after the release of Gonzo’s Quest casino slot, NetEnt released a mobile compatible version; Gonzo’s Quest Touch. To play on mobile or tablet, players will be required to tilt their device to landscape mode before playing. The layout of the screen is identical to the desktop version, with one exception; the control panel is more compact and allows for a more pleasant player interface. To adjust bets, players will need to click the sub-menu to the lower right of the screen; this brings up betting options as well as pay table, rules and win lines. Sounds can be muted via the speaker icon. Your current bankroll, bets and wins are shown to the lower screen. On the face of things; Gonzo’s Quest online slot isn’t exactly bursting with bonus features – it has a free spins bonus, wilds and collapsing reels with multipliers – but when you start to play, you get to see just how valuable those features can be. Each bet will bring excitement, what with the possibility of landing more wins in a single spin – we were lucky enough to hit 5 or more consecutive wins on regular occasions when playing. The key to this slot is to get consecutive wins if you get 4 or more, you’re guaranteed a 5x multiplier on every consecutive win! Gonzo does little performances on the screen, but he starts to moonwalk when you land the free spins feature. Those golden stones don’t like to fall too often, which means you will be playing for considerable lengths of time before triggering free games, but the possibility of a 15x multiplier attached to winnings should keep you positive. Free games can be re-triggered and there’s the chance of winning 37,500 coins – but only through the free games – so you can see now why this feature likes to remain hidden for as long as possible. This medium to high variance slot will throw out regular base game wins, but usually, they are small in value. Low stakes players will need to bet conservatively, of they will find that their bankroll has dried up before witnessing the power of the free games bonus. Gonzo’s Quest slot machine has an RTP of 96% and NetEnt have teased of a VR version coming in 2019.